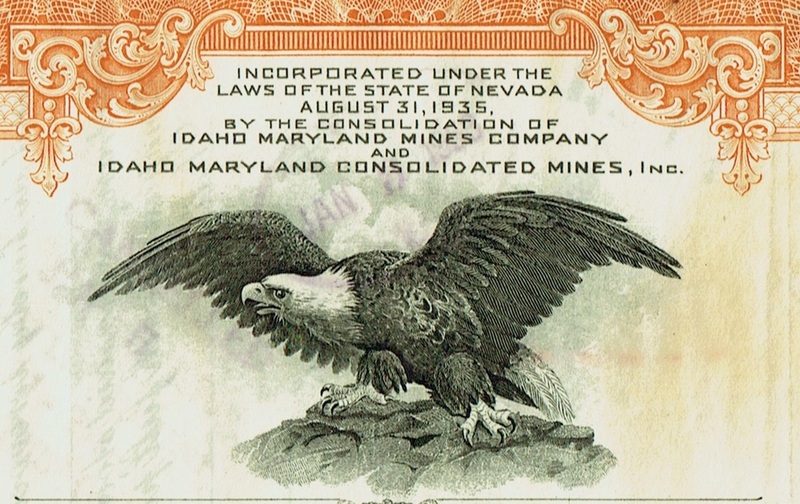 The Idaho Maryland Mines Corporation was incorporated in 1935 as the consolidation of the Idaho Maryland Consolidated Mines, Inc., a holding company, and the latter's operating company the Idaho Maryland Mines Company which mined gold at Grass Valley, California. Due to a continuous fall of the gold price, which lasted until the early 1970s, the gold mining operations were shut down in 1956. Idaho Maryland diversified into various industrial activities. 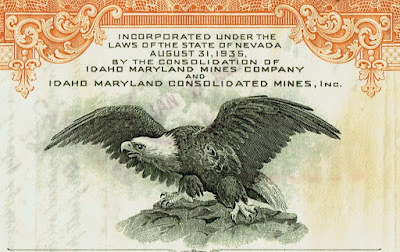 In 1960 the company adopted its new name Idaho Maryland Industries, Inc.
printed by E. A. Wright Banknote Company, Phila. 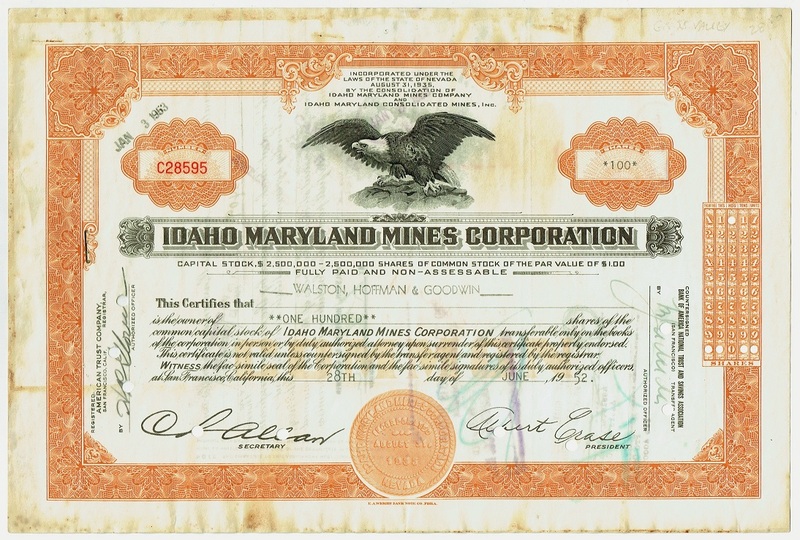 1960 Idaho Maryland acquires the business and assets of the Ferro Cast and the Magnetics Divisions of J. B. Rea, Inc., of Santa Monica, California. In return J. B. Rea becomes an important shareholder of the former. Previously, in the 1950s, J. B. Rea had introduced the Readix and Readix II general purpose computers. These room-sized computers are vacuum-tube based and use a magnetic drum storage. Several of these were produced for industrial and military customers. Idaho Maryland's new Magnetics Division keeps producing magnetic heads and memory drums and for a while the company continues to sell and service the Readix computers. Eventually the organization can not make the transition to transistor based computers.